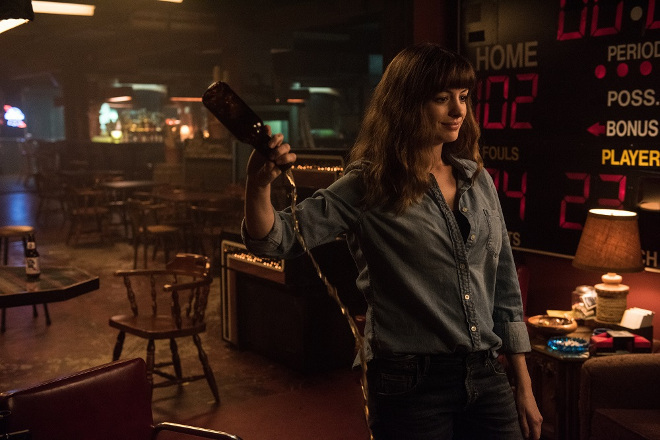 ‘’Colossal’’ – What if Our Personal Problems Could Destroy Cities? 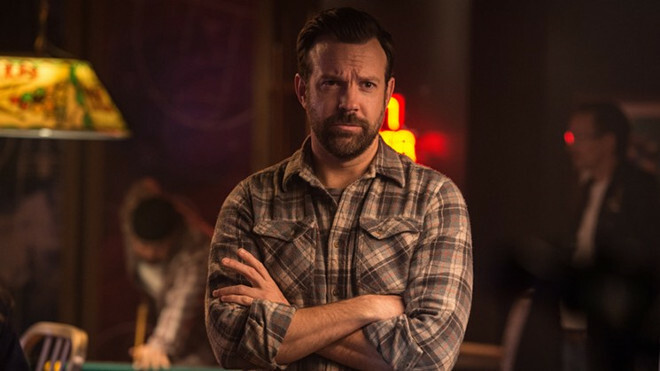 Spanish director’s, Nacho Vigalondo’s film ‘’Colossal’’ is hard to place when it comes to the subject of genre. It’s one of those movies that samples from a wide range of genres like science fiction, thriller, fantasy and a great deal of black comedy to create something that’s difficult to describe. 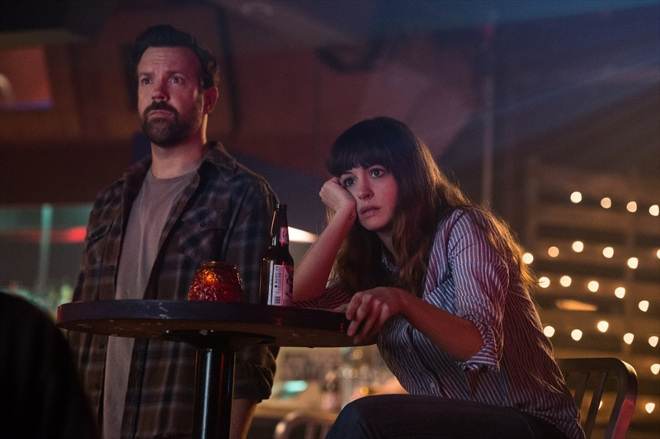 ‘’Colossal’’ strays from predictable and safe plots and shows a story that many can relate to in a unique way. Nacho Vigalondo is known for creating movies that are praised not only for their action but also for their unpredictability. He is the man behind ‘’Open Windows’’ starring Elijah Wood and ‘’Timecrimes’’ as well as other more eccentric works like ‘’The ABCs of Death’’, a comedy thriller, outlining 26 ways to die that correspond to each letter of the alphabet. ‘’Colossal’’, according to the director, was created with the thought that he just wanted to make a monster movie without breaking the budget. The more down to earth storyline came later, once he saw the opportunity for bringing the two things together. 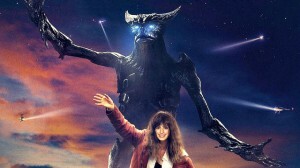 On its surface, ‘’Colossal’’ is an indie, low budget comedy version of ‘’Godzilla’’. There is a monster terrorizing Seoul, whilst on the other side of the world, Gloria (Anne Hathaway) returns home from New York to her parent’s house. Gloria has her own set of problems, dealing with alcoholism and a breakup, knowing well that her history of alcohol abuse and using people will leave her alone or dead at one point or another. Soon, she figures out that there is something linking her with the terror, the monster, that is looming over the city of Seoul. The monster is tree-like, somehow reminiscent of a giant grasshopper. It looks like your average monster that strikes fear into the hearts of people living in major cities. Vigalondo, in an interview with ‘’The Verge’’ said: ‘’ We had to think about — this movie is not a satire on monster movies. It’s not a comment on those films. It’s not trying to laugh at those films. So, the movie had to feel like one of those creatures, from those films. 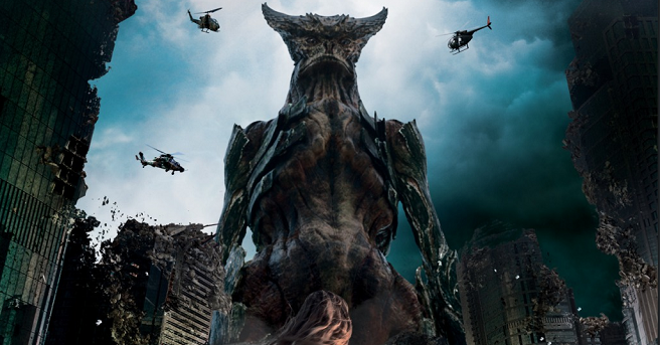 It had to feel like part of a tradition.’’ The film was so true to tradition that the ‘’Godzilla’’ copyright holders, Toho, filed a lawsuit against Voltage Pictures and Vigalondo over striking similarities between the two movies in May 2015. Though this movie isn’t simply about a kaiju terrorizing a major city in the world – the kaiju serves as a metaphor for Gloria’s alcoholism, a physical manifestation of her issues. The monster’s destruction, it’s senseless violence and pain inflicted on the people of Seoul is a parallel to what Gloria’s issues have done to her personal life, her relationships. Once she realises this, Gloria works to make amends, to fix her own issues and better herself for the sake of thousands of innocent people she may harm if she doesn’t as well as for the handful of people close to her. It’s refreshing to see a movie that lets the main female character acknowledge her problems and take them seriously. But just as we think that all is well, and the problem is resolving itself, the plot takes us down an unexpected turn that was building up from the very start, waiting for those with a keen eye to notice. Without spoiling too much, all I would like to say is that we should be glad not everyone can destroy cities because of their own issues, otherwise there would be a whole bunch of people running around with an inferiority complex and the means to wreak havoc and create global panic. This movie, alongside Gloria’s problems, talks about abuse, how people can be lulled into a false sense of security by someone and then be controlled and manipulated by the same person. Kind gestures can quickly turn into a manipulation tactic to keep control over someone – that is how people end up in abusive relationships most of the time. It’s good to see a movie acknowledging abusive behaviour for what is, and that the victim has every right to protect themselves and to stop the cycle of abuse. ‘’Colossal’’ is a film like not many others. It’s thought-provoking and entertaining at the same time, taking a unique and exciting approach to heavy subjects. This movie is a perfect example of the fact you don’t need a huge budget to make a quality film.